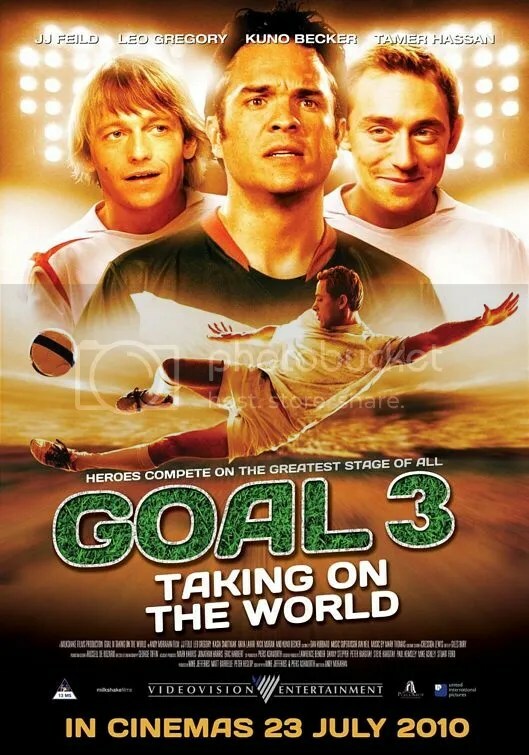 The third installment of the Goal Trilogy see’s us travel to Germany for the 2006 World Cup, with focus on three players. Santiago Munez (Becker) the focus of the first two films is in the Mexico squad, while his two Real Madrid teammates Liam Adams (Feild) and Charlie Braithwaite (Gregory) are in the England squad. But this is far from Santiago based when a car crash early on sees his world cup dream die . . . and our focus is mainly on Liam and Charlie who are both battling different events in their lives. I think a car crash is the best way to describe this film, as it really is just terrible. It couldn’t be further from the football based themes of the first two films. Maybe I like the first one a little too much mainly because it was set around my club Newcastle United. A factor which was brought back into this film was more mentions of Newcastle and the Geordies who go on tour to Germany, although taking a red and white stripped scarf – someone didn’t do some research on that one! If it was in any way trying to get sympathy for footballers, it certainly did not work at all. None of it was realistic to what would have happened. I really have no idea why I even watched it all the way through. If as was planned before the trilogy started and it was all about Santiago this film might have been a little bit better. I didn’t really want to have to relive the 2006 World Cup and how England went out. The edited parts with our two added players were just terrible and didn’t even look slightly real – also numbers 25 and 26 would not be in a World Cup squad as the numbers only go up to 23. Ok that maybe nit-picking but football is my passion – they could at least have the little details right. Something that really annoys me with football based films is that the filmmakers always seem to make a mess of it. The greatest game in the world just doesn’t seem to transfer very well into films. Such a shame! If you think about watching this – I would say think again and don’t bother. You aren’t missing anything with it! ‘Fright Night’ only available in 3D . . .